For Kenyans smarting from their athletes’ failure to live up to admittedly sky-high expectations, David Rudisha’s world record-breaking gold medal win in the 800m final shone all the brighter. “We are overwhelmed. He has done the country proud,” shouted Anthony Mwangi, as he pumped the air in K1 Klubhouse, a sports bar in Nairobi’s Parklands district. 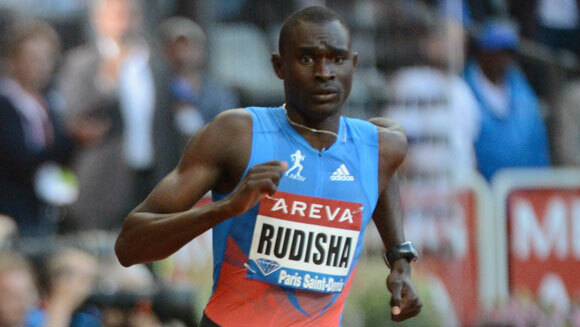 “With Rudisha’s performance, we are consoled,” added the 33-year-old, who works for a pharmaceuticals company. Rudisha broke his own world record, becoming the first man in history to run two laps of the track in under 1 min 41 seconds, finishing in 1:40:91. Fellow Kenyan Timothy Kitum took the bronze medal with a personal best. Discontent had been building in Kenya as the country’s middle and long distance runners failed to deliver the medals’ windfall fans were expecting. Before Rudisha’s record-breaking run, Kenya had just one gold medal to its name, won by Ezekiel Kemboi in the 3000m steeplechase. Four years ago in Beijing, Kenya won six golds and the country’s athletics coach Julius Kirwa had been quoted as saying that he expected to take home 12 golds from London. The increasingly critical search for answers in the Kenyan press and on social media has focused on the officials behind Team Kenya. Poor management, a flawed selection process, demoralisation and lack of preparation were some of the theories put forward by the patrons of K1 Klubhouse to explain their heroes’ feet of clay. “We were optimistic that things were going to be a little better. I doubt there was proper preparation,” said Jack Bwana, a managing partner in a freight company. “People are completely disappointed. We are watching like this,” he said, placing his hands over his eyes. George Muhandi, an architect, echoed this feeling. “I’m so disappointed by the performance. I expected more gold,” he said before Rudisha’s race. But he never doubted the lanky Maasai. The dissatisfaction has been so widespread that the Kenyan prime minister, Raila Odinga, felt compelled to urge Kenyans to keep supporting the team on Thursday. He said people had been unfairly critical, and warned this could demoralise the athletes. Odinga said Kenya would need to invest more in training and rewarding its athletes, and announced that the country would bid to host the 2024 Games.